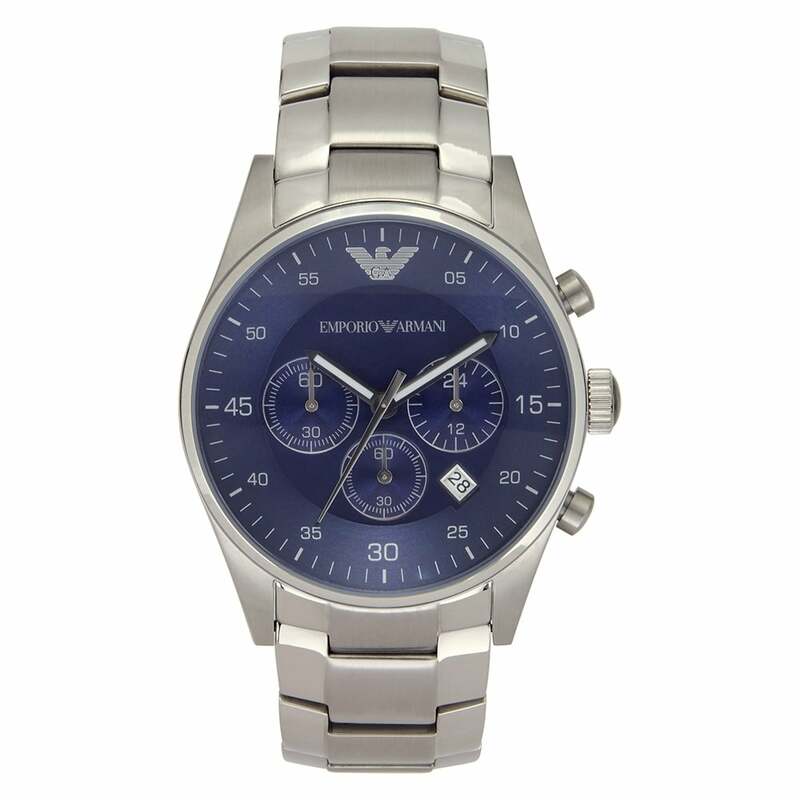 Emporio Armani Gents Silver Stainless Steel Watch AR5860. The Emporio Armani gent's silver metal watch AR5860 is a beautiful timepiece from the men's Emporio Armani Collection. This silver watch features a desirable silver stainless steel strap, date display, blue dial, chronograph display and is water resistant up to 50 metres. The gents Armani AR5860 watch boasts attention to detail and quality design. Showing our 2 Armani Watches AR5860 Gents Silver Stainless Steel Watch reviews with an average rating of Excellent. Would you like to write a review? I received mine today and came just as seen and described. Good packaging and was delivered in 3 days. Very happy. Brought this watch as a Christmas present for my boyfriend. He loved it! !